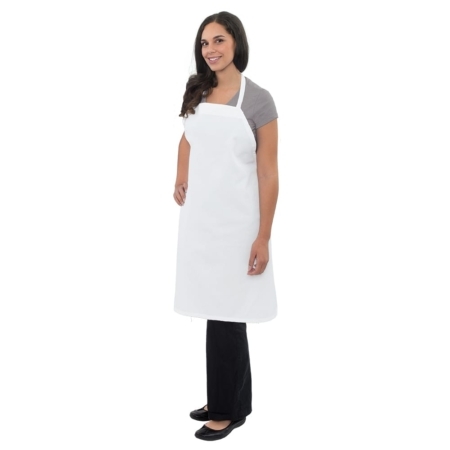 All four styles have the same distinct features: clean, streamlined styling, unisex for any gender; an option to customize aprons with embroidery or screen printing; choices for bib, reversible waist or bar waist styles, superior fabric of sturdy 65/35 polyester/cotton twill in 6 ounce fabric weight, and all at competitive prices. 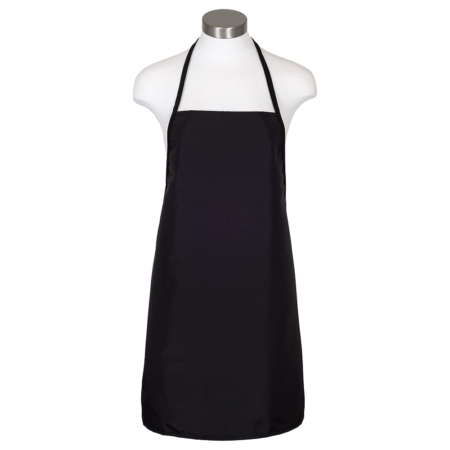 The waterproof bib apron is available in black, navy or red, is the perfect cover to use during any wet, messy culinary tasks and has is a polyester veneer blend—perfect to keep clothes clean and dry. 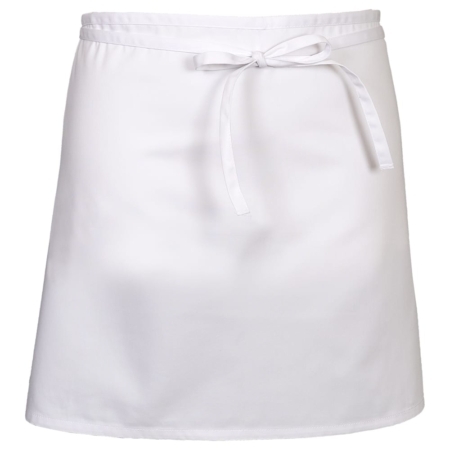 What’s the difference in superior fabric mean for you or your chef? 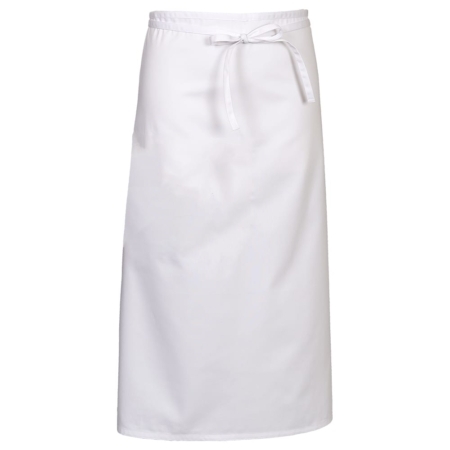 A durable apron that won’t fade after numerous washings, a product that lasts longer than those of thinner fabric weights, an apron that holds its shape and style even after many hours of wear. 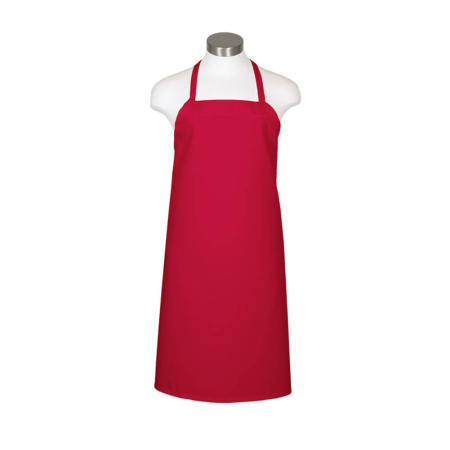 Our customers noticed the difference and love to brag about our aprons. 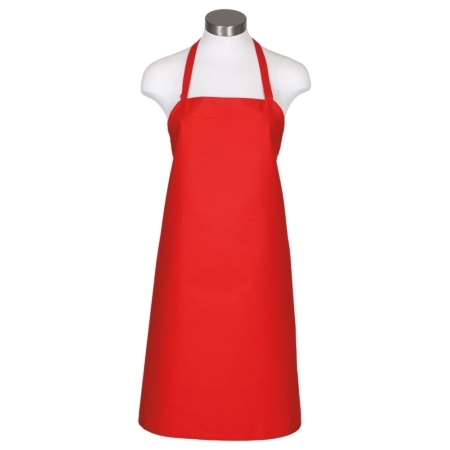 Aprons and Smocks can fill larger orders as well as smaller ones and we’re known for getting the order shipped on time to meet any deadlines you may have. 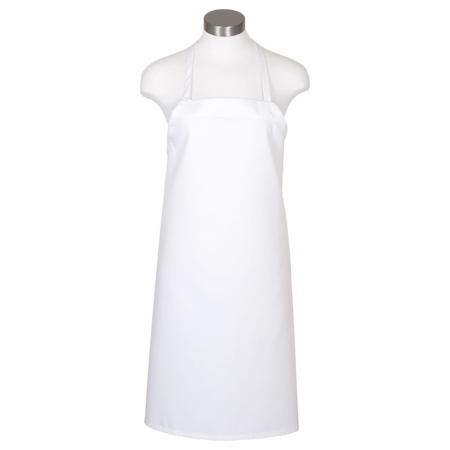 Contact us for more details, or place an order now.